On June 29th, members and guests of Austin Coming Together celebrated the past year’s accomplishments and future goals, highlighting projects, people and businesses making a positive impact on proactive community building. 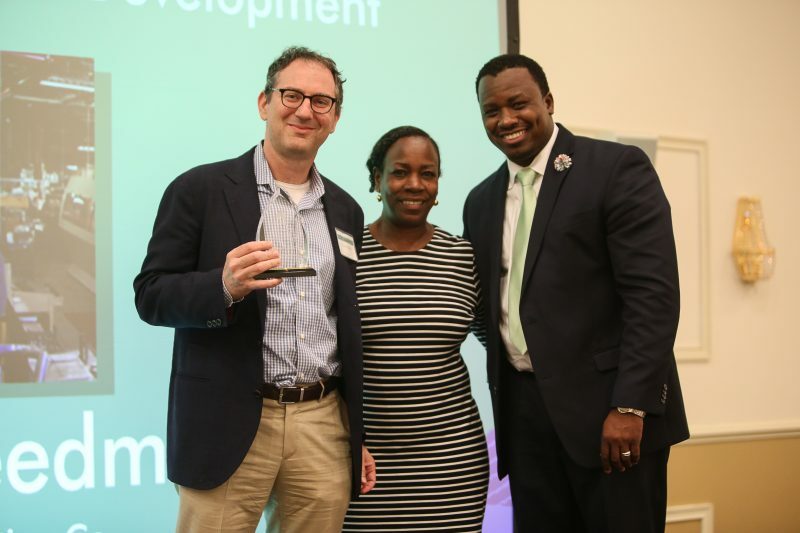 Craig Freedman, CEO, was among several 2018 Impact Awardees being acknowledged at the event. On behalf of Freedman Seating Company, Craig accepted the Excellence in Workforce Development Award. ACT’s work is driven by shared leadership, a commitment to the use of data and rigorous research; and a commitment to creative, strategic thinking. We are committed to living our core values and increasing collective impact to improve the quality of life in the Austin community of Chicago. Through Craig’s leadership and commitment to the company’s mission and core values, FSC has grown to become the industry leader with global partners and 900 employees. Craig maintains a strong presence in the community. He is especially active in helping young people train in manufacturing disciplines, participating on advisory committees, and supporting shadowing and internship programs for area high schools. He is dedicated to keeping Chicago’s manufacturing industry alive and vibrant while supporting the efforts of Austin Coming Together, Heartland Alliance, Jane Addams Resource Corporation, Austin Career & College Academy, and other local and regional organizations. After graduating from Northwestern University in 1988 with a BA in Economics, Craig worked as an analyst with Morgan-Stanley before pursuing his MBA from Harvard University. In 1992, Craig returned to Chicago to focus on strategic planning and operations at Freedman Seating, where he would eventually become President then CEO.